PV power systems installed on offshore island Penghu, at airport and fishing port, among others, have been dismantled for repair and reinforcement, due to serious corrosion of frames caused by salt damage, only less than five years after inauguration, a far cry from normal product life of 20-25 years for solar panels. The devices are part of the low-carbon island project for Penghu, as Taiwan's first exemplary renewable-energy region, passed in 2013. Under the project, the Ministry of Economic Affairs offered NT$360 million subsidy to Penghu for the installation of solar panels at 20 public buildings with total capacity of 1,500 KW and targeted output of 1.3 million kWh year, capable of cutting CO2 emission by 800,000 kilos. The largest ones are those installed at Penghu Airport and the first fishing port of Makung, both capable of generating 1.1 million kWh a year. 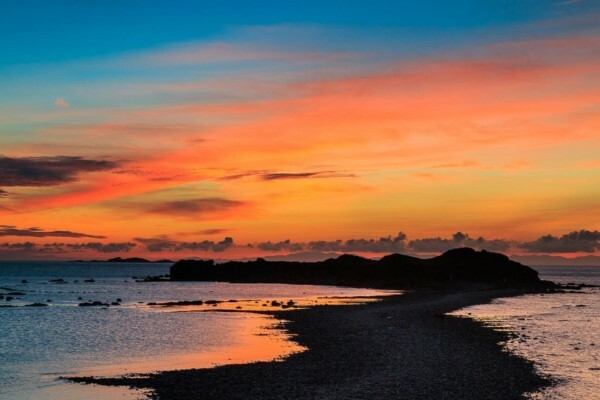 Penghu has been selected as the pilot area for solar energy, thanks to its abundant sunshine, with sunny days reaching 2,031.2 hours a year. However, in fall strong northeast seasonal wind, with heavy salt content, will blow, wreaking havoc on the frames of those solar panels, mostly seriously those installed at Makung Airport and the first fishing port, plus PV power ground stations on Dongjiyu islet, the three largest ones whose construction costs totaled NT$250 million. The Economic Affairs Department of Penghu County Government confirmed that the solar panels at the three sites have been dismantled, in fear of collapse amid strong northeast seasonal wind, adding that the dismantling and reinforcement cost will be borne by the contractor, as the devices are still protected by the five-year warranty. AU Optronics, the contractor, reported that the corrosion problem is much more serious than expectation, adding that it will subject the frames to galvanizing treatment with better anti-corrosion effect and will substitute the solar panels with lighter weight but higher efficiency for the original ones, which are scheduled for completion by Aug. 20. The Economic Affairs Department pointed out that solar panels at other sites will also be subjected to galvanizing treatment and other solar-panel projects will be suspended until solution to the salt-damage problem has been found. Renewable energy can overcome the difficulties of power transmission and fuel transport, plus higher cost, for thermal power on offshore island. Therefore, Lanyu also put in place its first solar panel system with 3 KW capacity in May.